Help multiply the pace of good land conservation. Without any cost to you, you can help thousands of people learn about land conservation and its benefits. It is essential that our communities are properly educated about our land and how important it is to conserve. Tax Credit Connection Inc.’s Small Grants Program helps to fund these educational projects. Tax Credit Connection, Inc. is dedicated to sharing at least ten percent of its proceeds with the land conservation community through various means, including our Small Grants Program. The Small Grants Program is designed to assist land trusts and local governments with costs associated with educating landowners and professionals regarding the benefits of conservation easements. Tax Credit Connection’s Small Grants Program is designed to award grants in the amount of $300-500 per grant for activities that help to educate landowners and other interested individuals about the value of conservation easements. 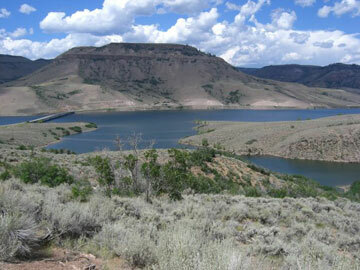 Both land trusts operating in Colorado and local Colorado governments open space programs are eligible for Tax Credit Connection’s Small Grants Program. Since 2006, Tax Credit Connection has awarded 88 small grants totaling more than $42,000. Past recipients of small grants from Tax Credit Connection used funds to print informative brochures and newsletters, conduct conservation easement workshops, and host conservation-related events. Since its inception, the Small Grants Program has helped fund 18 conservation workshops around the state of Colorado, printing of educational materials for 32 different organizations, and the purchase of equipment to help land trusts make presentations on the benefits of conservation easements. We will announce periodically when we will be accepting applications with a deadline as to when they will be due. We recently awarded 6 Small Grants from the latest application process in July. The application process is simple. To apply, click on the link below, fill out the form, and fax, email, or mail your application to Tax Credit Connection. Feel free to contact us if you have any questions about the program or would like to discuss your funding request with us. Applications are accepted on rolling basis, so let us know about your project any time. We would love to help fund your program! Congratulations to our latest award recipients! We look forward to seeing the results to their latest projects. “Thank you for your generous grant of $500 to support the Southwest Land Alliance’s 4th Annual ‘Saving the Ranch’ event held in Pagosa Springs in May 2009. Your support was crucial to the success of our event as well as our ability to continue it, especially in this period of dwindling philanthropy when consistent support such as yours is increasingly rare. Your support of the Southwest Land Alliance’s efforts to inform and cultivate conservation easement donors is a testament to your belief in the net value of the process in which we both partake.